We provide any kind of stainless steel shop drawings. For more information, please visit our Stainless Steel Shop Drawings page. No job is small or big for Shop Drawing Services Ltd. 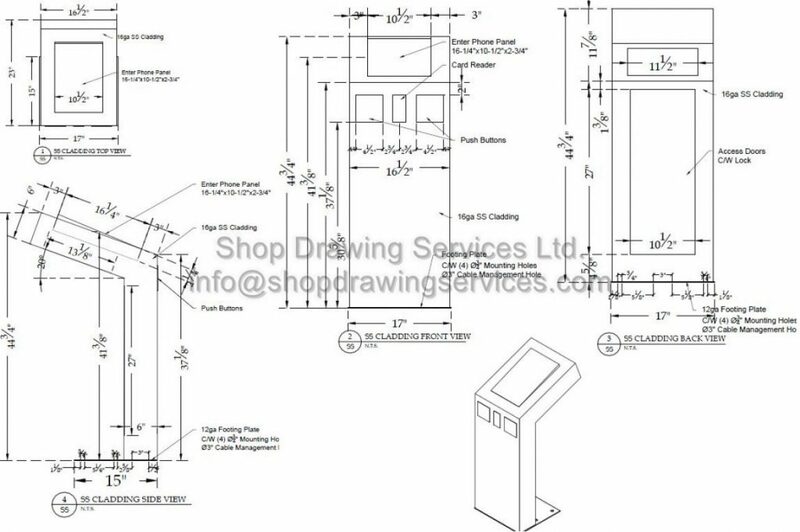 Please visit our office for stainless steel shop drawings.